Did you know that heating and cooling your home can represent nearly 50% of your average household’s energy usage? That is a huge investment of resources. And we want to make sure your heating and cooling system is working optimally so you aren’t wasting your money. We at Quality Heating & AC Repair want you to think of us for all your Air Conditioner (AC) Repair or furnace repair needs in the Innisfil, ON area. We offer the difference that keeps our customers coming back to us time after time for all their heating and cooling needs. Our customers are always our number one priority. 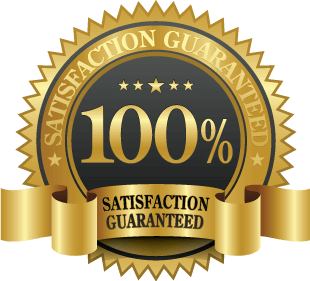 In fact we offer a 100% guarantee. If you aren’t happy, we aren’t happy. If you aren’t completely satisfied with any of our services, we make it right. We pride ourselves on our skilled technicians, our state-of-the-art diagnostics, our honest pricing and our commitment to our customers for the long haul We are members of this community too. So we are dedicated to making it right. Every time. You depend on your air conditioning system when the temperatures climb and your furnace when they plummet. We get that. And that’s why we are available for any emergency you may have. Our trained professionals service and repair all makes and models of equipment. We are committed to your family’s comfort and safety whenever we make a service call. Are you experiencing problems maintaining the temperature level in your home? Are odd noises or smells coming from your system? Condensation where it shouldn’t be? These can indicate a problem…or one waiting to happen. Call our trained technicians and let us get you back to your busy life. Repairs can be simple or not so much. Sometimes a simple cleaning is all you need. A dirty filter or a small part replacement could be the issue. Call us sooner rather than later so a small repair doesn’t become a large headache. When it comes to a furnace repair or AC repair in the Innisfil, ON area, our qualified technicians are unsurpassed. Years of experience on all makes and models is what we offer. And our commitment to your satisfaction. We know, that as a homeowner, your heating and cooling system is a huge investment and you want a quality company to assure it is working properly at all times. And that’s our name: Quality. When you call Quality Heating & Air Conditioning, you get a comprehensive diagnosis from our experienced technicians. You get a reasonable price. When you have an emergency, we are there when we say we will be. We know your time is valuable and emergencies are inconvenient.so our technicians will repair your system quickly and efficiently and leave the site clean and orderly. For further assurance that your system will be operating at its peak when the temperatures soar or plummet, ask us about our regularly scheduled maintenance visits. Having one of our skilled technicians inspect your system periodically can often identify issues before they become larger problems. We will provide a full service tune up, change dirty filters and potentially spot problems waiting to happen. With regular service, you can rest assured that your system is operating at its peak efficiency and will not break down when needed the most. If your system has run its lifespan and you require installation of a new system, we can discuss the most practical new, energy efficient replacement for you considering your lifestyle, your home layout and your budget. We are able to install any make and model currently on the market and will give you our recommendations for your particular needs. Don’t trust your AC repairs or furnace repairs in the Innisfil, ON area to anyone but the best. We promise to give your system the care it needs to keep you comfortable when the weather heats up or cools down. When you call us, you have the peace of mind knowing you are in the hands of trusted experts with a wealth of experience. 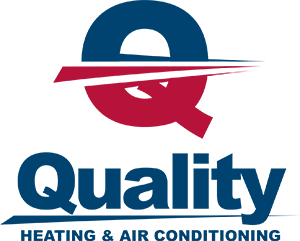 Quality Heating & Air Conditioning has been the premier heating and cooling resource for your friends for years. Our commitment to you is what is most important and we will go above and beyond to assure your satisfaction. We are here for the long haul. We at Quality Heating & Air Conditioning want to be your heating and cooling superheroes!